The HCM module is part of Microsoft Dynamics 365 for Finance and Operations: The Cloud platform of Microsoft. All the HR processes are HR policies are supported by the HCM module of Microsoft Dynamics 365 for Finance and Operations and AX2012. FourVision created a number of add ons for the HCM module of Dynamics 365 for Finance and Operations, and Dynamics AX2012. These add ons leverage the standard HCM module from average to excellent. Because of these improvements, Workforce Planning, Benefits & Compensation, Leave, Recruitment and Talent Management work seamlessly together in one module providing complete visibility of your global workforce. The HCM/HRM module is available for Managers, Employees, Payroll admin, HR staff and HR Managers. Dynamics 365 HCM is part of the Dynamics 365 platform. A unique proposition comparing to any other HCM solutions. Dynamics 365 for Finance and Operations is cloud based, and fully integrated with Office 365 (Excel, Word) but also with the best BI tool at this moment: Power BI. All benefits of one platform in the cloud comes together in Dynamics 365. One single sign on, secured data based on the authorization of Dynamics 365, one price for all and easy access anywhere, anytime on any device. Including the add on HR Plus and Timesheet Plus, the HCM module of Dynamics 365 for Finance and Operations transforms the standard solution to support all your organisation’s HCM processes. It can support all industry sectors in every country. No matter if you are using the HCM module of Dynamics 365 for Finance and Operations in one country or globally. The HCM module of Dynamics 365 has a wide range of functionality and is available in 43 languages. All HRM data, including the historical data of employees, is directly accessible and allows those with the right authorization access to the selected HR information. It provides you with strategic insight of your workforce. The HR cycles support your performance management. The appraisal process is fully accessible for employees and managers via ESS and MSS. The outcome are directly available, supported by workflows and salaries can be updated automatically, based on the results of the appraisal. Talent management gives you direct insight in the competencies of your staff and succession planning. By marking the employees on type you know immediately if the quality of your staffing is in line with the organizational goals. For local as well as international organisations, leave and vacation accrual planning can be determined per country as well as within the company. Even if you have created your own absence entitlements. leave will be accrued automatically. All types and sorts of absence are available. The duration and the expiration can be determined per leave type and also determined for example for one, two or five years. Leave entitlements will be adjusted automatically when an employee is working less or more. Leave requests by employees and approval by managers can be done via multiple devices from mobile phones (iOS, Android, Windows), to tablets, PC’s, and notebooks. All relevant data regarding sickness can be kept in Dynamics 365 for Finance and Operations. With every sickness case different actions can be assigned to different persons. Country specific regulations are supported, like Sickness management in Western Europe, Canada and the specific needs like the Bradford Factor in the United Kingdom. Standard sickness reports are available. Multiple compensation packages can be created for local and global use. Local benefits can be linked to benefits providers. The compensation plans can be linked to the (local) position, so you have a real time overview of your employee costs. Candidates can apply via a corporate website, LinkedIn or Job Boards. All relevant information moves to the recruitment project in the HCM/HCM module of Dynamics 365 for Finance and Operations. The recruiters can do their professional work to get the best Talent by using the necessary tools available in the recruitment module. After the successful candidate signs that contract the onboarding process can be automated for all relevant persons (managers, IT, colleagues, third parties) and departments. The process can be supported with checklists and approvals to ensure an efficient and effective onboarding experience for your new hires. All relevant persons receive notifications and have direct insight via their ESS or MSS as to the required activities and the status of each. You can welcome new colleagues in a very professional way. To get the right information for the right purpose there are a number solutions available to the HCM/HRM module. For a direct overview a large number of standard reports for different functional areas are available. But where specific needs require it you can also create such reports. In case you want to have more strategic information there is the option to use Power BI. This presents the ability to create reports, graphs and more directly out of Dynamics 365 and present it via your dashboard, which is available inside and outside Dynamics 365. Users, employees and managers alike can drill down to the lowest (employee) level of data. You can look to the same data from different angles. You can even add other sources like other ERP and or HR systems and public data. In that case you can have an overview of your sickness data comparing to the general sickness data of a country. A variety of requests for managers and employees can be supported via Workflow. In the HCM/HRM module this is available for areas such as : absence requests, sickness notifications, changes of employments, salary, budget requests, recruitment, new positions, working less or more, job changes, and expenses. Even further, changes on a personal employee level like changes of addresses or partner details. ESS and MSS is the place for employees and managers. As an employee, there is direct view of personal data. One can add and/or edit data, all supported with approval workflows. Via ESS you can directly book courses, apply for jobs, maintain goals and fill in appraisals or reviews or you’re a colleague’s. As a manager, there is a total overview of one’s team, with the ability to add and edit their information. You can make HR requests for your team to check benefits, get a new tablet or start a requisition for a new team member. Documents are visible and reports are available. All documents can be filled in automatically by using your own MS Word templates. The results can be kept in Dynamics 365 for Finance and Operations or using SharePoint. Additionally scanned documents and pay slips can be linked to an employee record. All these documents are direct available via ESS/MSS but also, based on the right authorization, for the HR department and the payroll department. Within the HCM module you have the option to use checklists. These dynamically created checklists can be used for all kind of occasions from onboarding and recruitment, to the termination of an employee. Per step you can create an email, make a document, go directly to the employee screen or make just a tick in the box for that specific work item. You can delegate tasks to others, easily create a new checklist and use different checklists for the same purpose. The support of the onboarding process can differ per country and per legal entity. In some cases companies providing their staff with company cars. In the Fleet management workspace there is the ability to record, manage and monitor information regarding company cars and the assignment to employees. All relevant fiscal information is available for payroll. The functionality can be supported by checklists and workflows. Standard but also flexible to adjust to your needs. Unlike other ERP and HR-solutions, Dynamics 365 for Finance and Operations has a high level of flexibility. Despite the wide range of standard functionality, you can easily adjust the HCM module of Dynamics 365 to fit your own needs. When organisations have specific needs, and the software needs to be adjusted, this can be done easily at low costs. 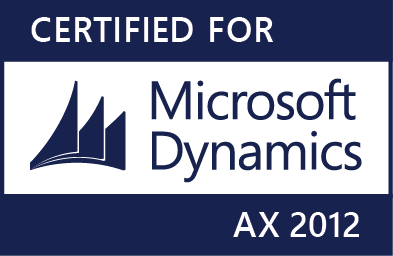 All the functionality described above is also available in Dynamics AX2012. But instead of workspaces and ESS and MSS we use the Enterprise Portal for the same purpose. Please share your requirements with us to see how we can help you. We are the first partner who is dedicated focusing on the HRM module still under the same name. We have a long history of knowledge of the HRM module in the different Dynamics versions: the HR module has no secrets for us. We also implement the HRM module since then. We have really learned to implement the HRM module from scratch. All the experience of all these years has been cumulated in different implementation approaches.